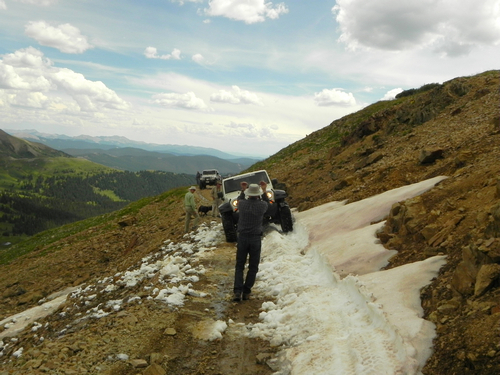 Pearl Pass is a great Jeep trail that takes you from Crested Butte over a 12,700' pass. 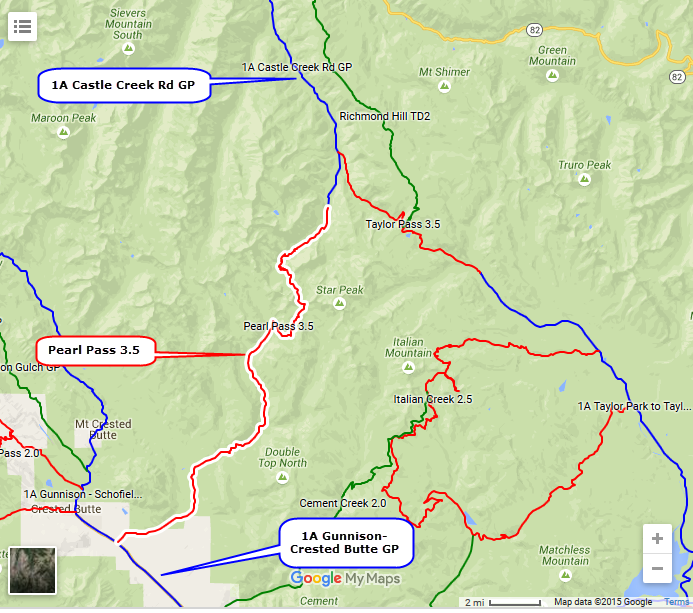 You can then either go to Aspen or return to Taylor Reservoir over Taylor Pass. This trail opens very late in the summer, if at all. There is a deep drift on the south side of the pass.